Hose Standar Connector has two kinds of threaded connector, fits 1/2" and 3/4" taps or pipes. 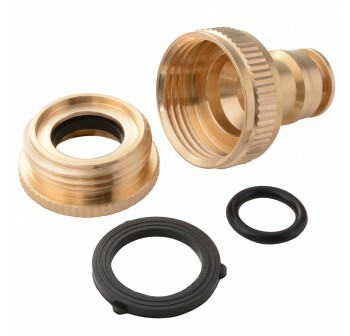 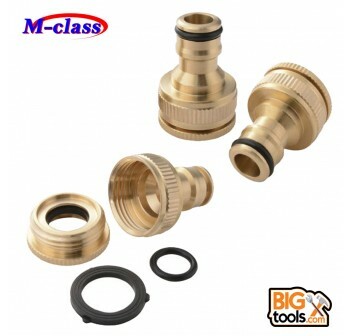 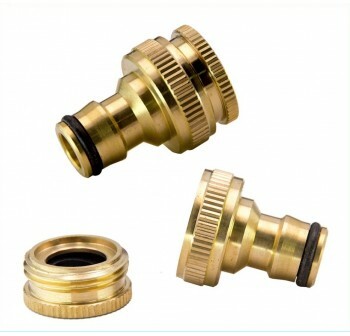 Heavy-duty brass construction with rustproof fitting to the standardized plastic garden hose coupling systems. 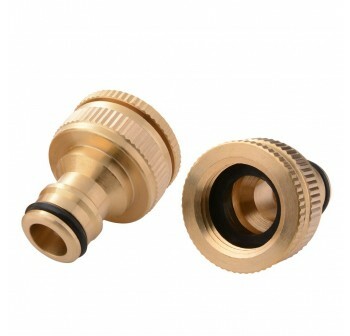 Brass material rustproof and durable. 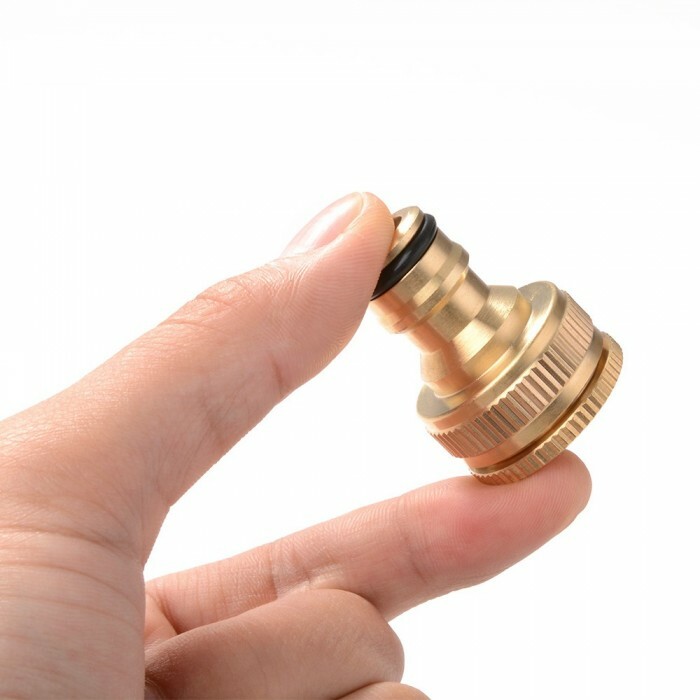 Suitable for washing machine tap, outdoor tap, garden water gun pipe, etc.